On Wednesday night, The Adelaidian was invited to bear witness to the launch of the first ever ROUND yoga mat. How has this not been thought of before? Upon recognising the circular gap in the market, two beautiful Adelaidian ladies made the bold move and harnessed it. 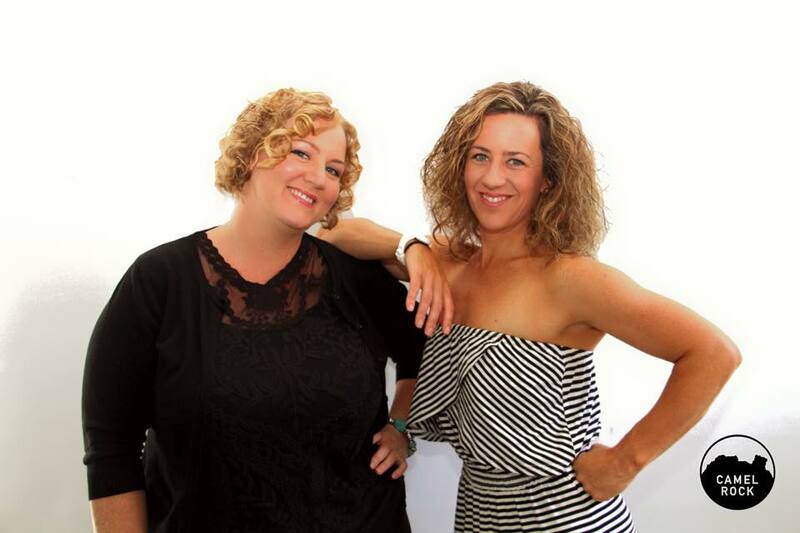 Business partners and best friends for over 20 years, Amy Moyce and Elle Holmes have been tirelessly trialling, travelling and working on their business plan for over two years. Last night saw all their hard work come to fruition. The lovely Amy and Elle. The intimate affair hosted upstairs at Bar Cuba at The Union Hotel on Waymouth Street saw the girls launch their brand Camel Rock Yoga on Kickstarter, a crowd-funding forum. Amy, who works as a personal trainer and has been practising yoga for over 20 years, pitched the idea to her best friend and photographer, Elle two years ago. Amy and Elle took a leap of faith to start their business with the encouragement from their family and friends. Camel Rock Yoga’s range includes four massive yoga mats, featuring intricate, hand designed mandala prints, each named after four important people in the girls’ lives. The mats are 4.5mm in thickness, 6ft in diameter and eco friendly, offering yogi’s a 360 degrees range of movement. This allows you to move through every pose with ease, supporting Amy’s firm belief that ‘yoga is about freedom, space and movement’. The best part is you don’t even have to know what a downward dog is to justify rolling out one of these beautiful mats, as they can also be used at the beach, at picnics or for playtime with the little ones. Guests at the launch were treated to drinks and nibbles, before watching their product go live on Kickstarter, an exciting and emotional moment for Amy and Elle. The ladies thanked their husbands, family and friends for support and acknowledged Jen, a yogi who demonstrated her talents by contorting and bending her body on the display mat. “Cheers to best friends and business,” Amy toasted. Amy and Elle need to raise $20,000 in three months to get their project off the ground. Follow the link here to show your support.